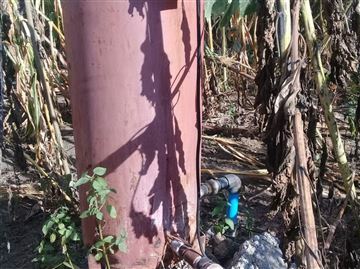 Land with cluster development or flats right permit measuring 4000sqm with borehole, municipal water, electricity, walled and gated, on a corner stand. Deeds available!! 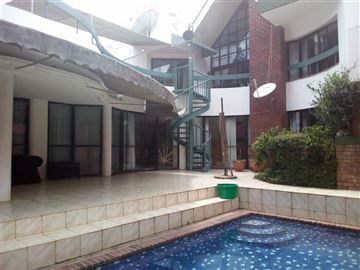 Exquisite upmarket duplex town house in a complex of 10 units comprising of 4 beds, main ensuite overlooking balcony, entertainment area and swimming pool. The property has a modern fitted kitchen, laundry,2 offices, 2 spacious lounges, bar and an entrance hall which leads to the dining room. 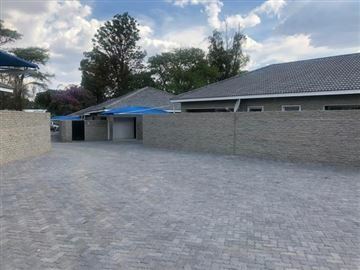 It also boast of a borehole, water tank and a double lock up garage. 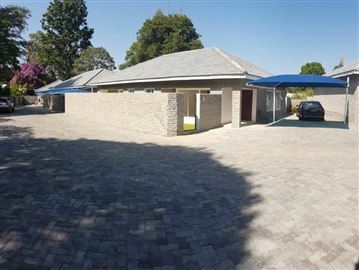 A very ideal investment in this sought after serene and tranquil environment which host a lot of diplomats. 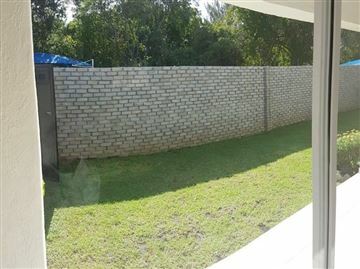 This townhouse, being Unit 6, comprises of 3 bedrooms, all with built-in cupboards, the main bedroom having an aluminum glass sliding door leading on to a verandah and into a private garden, 2 bathrooms, 1 en suite, modern fitted kitchen with granite tops, large open plan/dining area with ceramic tiles throughout, leading onto a verandah and into the garden. The unit is walled and has a double carport. 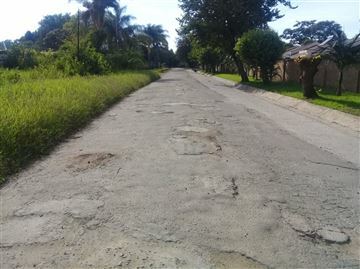 Cash buyers preferably, but seller may consider a part payment in RTGS at rate on the day and the price is negotiable. 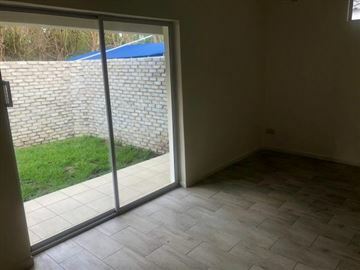 US$250K and US$240K# 2 units in a complex of 8 offering open plan lounge with sliding doors opening on to a veranda and private garden , dining room, fitted kitchen with granite tops, 3 bedrooms (mes) with a dressing area, family bathroom, covered double carport (160m2) All units have private front and back gardens and the floors are tiled, The complex is very secure, walled with an electric fence and individual gate intercoms, borehole, paved driveway and a guard house , sectional title deed. 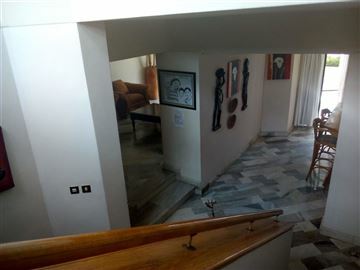 Upmarket duplex town house in a complex of 10 units that has a very active Owners Association. The town house offers downstairs an entrance hall with marble floors, guest cloak room with shower, 1 bedroom , dining room, fitted kitchen with pantry plus separate scullery that opens on to an enclosed court yard. 2 spacious lounges with fireplaces that have sliding doors that open on-to the veranda, private swimming pool and garden area. 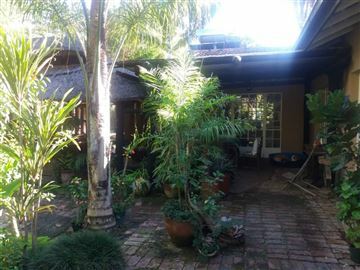 Upstairs has 3 spacious bedrooms , main bedroom has an en-suite bathroom with bath and shower and walk in closet and sliding doors that onto a deck over looking the garden. 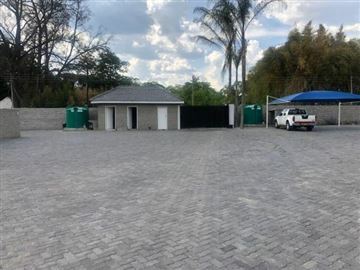 There is a full family bathroom, prolific borehole in the complex, the full perimeter is fully walled with electric fence, electric gate and individual gate intercoms. The monthly levies are $300.00 paid quarterly . 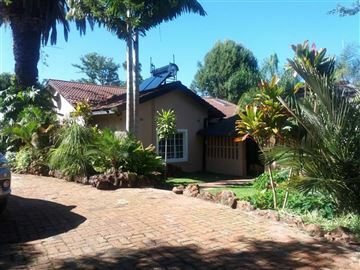 beautiful commercial property with 6 offices, reception area, kitchen, 2 bathrooms , boardroom, 3 roomed cottage. 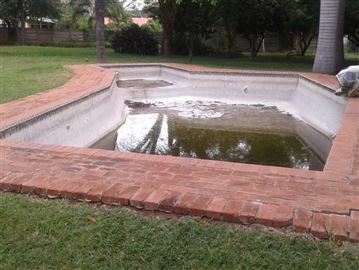 borehole, swimming pool on an acre. 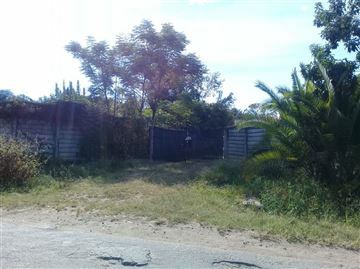 Good location with title deeds, walled and gated. 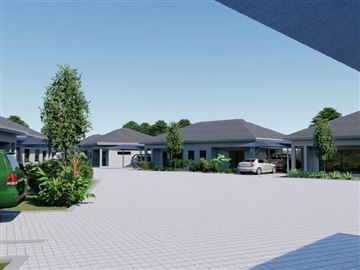 These brand new 3 bedroom townhouses, being Unit 7, comprise of a modern built-in kitchen with granite tops, large open plan living/dining area with aluminum glass sliding doors to a verandah and garden, 2 bathrooms with an ensuite and separate bathroom, ceramic tiling throughout the units, aluminum profile windows, intercom, prepaid meters and double carport. Only cash buyers and price is negotiable. 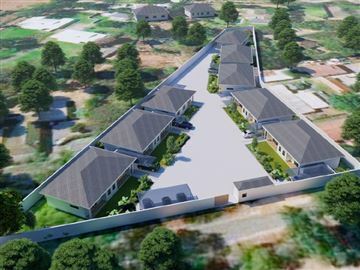 Bayz Complex, this new complex consists of 8 townhouses, 2 being two bedroom units and 6 three bedroom units. 4 townhouses have been sold, so 4 are remaining, Units 3, 5, 6 and 7. 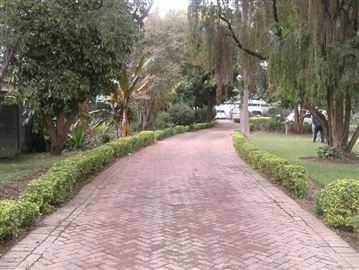 The whole complex is walled with electric fencing and electric gate. 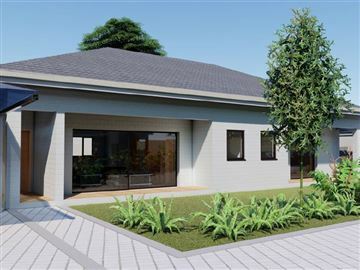 Unit 3 is a 2 bedroom unit with built in cupboards, 2 bathrooms, 1 en suite, modern built-in kitchen with granite tops, large open plan/living area with aluminum glass sliding doors to a verandah and private garden, single carport. 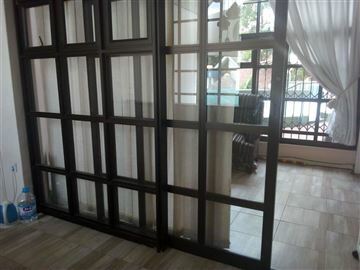 This unit is priced at US$ show me .Negotiable. Unit 5,6 and 7 are 3 bedroom units, all with built-in cupboards, with the main bedroom having sliding doors on to a verandah and in to a private garden, 2 bathrooms, 1 en suite, modern built-in kitchen with granite tops, open plan/living area with aluminum glass sliding doors on to a verandah and into a private garden, with ceramic tiling throughout, double carports. Unit 5 and 6 are being market at US$ show me and Unit 7 at US$ show me .Negotiable. 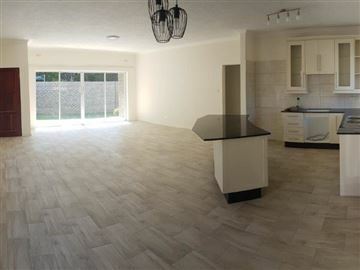 New development in Newlands situated near the Country Club, consisting of 3 and 2 bedroom units, offering open plan kitchen, lounge, dining room, main en suite. 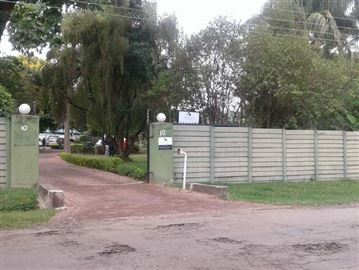 Borehole, 24 hr security. 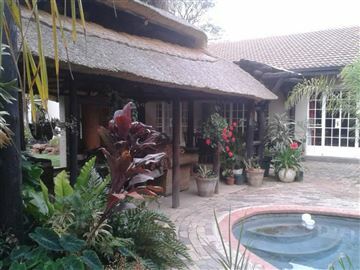 Sectional title, Ready for occupation.